Did Facebook steal the Like button from Dutch inventor? Facebook's 'like' button is the star of a new lawsuit against the social network. A deceased Dutchman's estate claims to hold the patent for similar features that were allegedly developed for 'Surfbook', a social network that never saw the light of day. The inventor in question was Joannes Jozef Everardus Van Der Meer who passed away in 2004 before he could implement his patents. Granted in 1998, the patents cover creation of "a 'diary' containing multimedia references to contents of websites… with the specific intent of making the content objects available to a user to place in his diary" - all using a 'like' style button. The second patent covers a chronological "catalog of network objects of interest to the user" - which is basically the newsfeed or timeline. 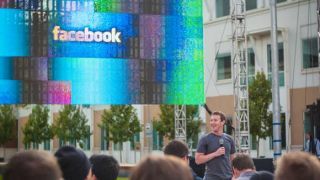 It all does sound pretty familiar, to be fair - and the lawyers also claim that Facebook is aware of the patents, having cited them in its own patent applications. A patent holding company is suing on behalf of van Der Meer, saying that the patents in question "represent an important foundation of social media as we know it".